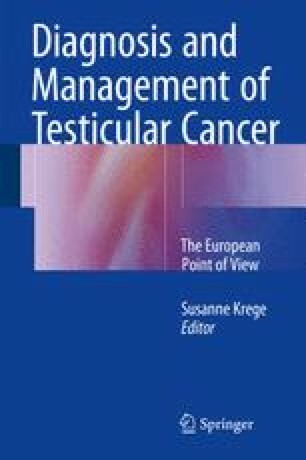 In 2004, the first European Consensus Paper concerning diagnosis and treatment of germ cell cancer was published (Schmoll et al. Ann Oncol 15:1377–1399, 2004). The consensus group consisted of more than 60 experts from all across Europe. The experts involved were oncologists, urologic surgeons, radiooncologists, pathologists and basic scientists. Since then, regular updates were performed by the group (Krege et al. Eur Urol 53:478–496, 2008; Krege et al. Eur Urol 53:497–513, 2008), the latest published in 2012 (Beyer et al. Ann Oncol 24:878–888, 2013). In this chapter, the recent recommendations of the European group are summarized. The following chapters will present some topics in detail, which are still discussed controversial, or for which the best management is not yet found.